The price of a skip hire in ashton-under-lyne is usually the same if you the skip for one to seven days, Usually until the skip is completely full. 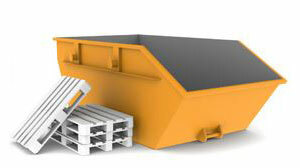 You can simply call up Eco Enviro Group Ltd and we will simply pick up the skip when it is full or no longer needed. If you need to hire the skip for a much longer period we may charge for the extra days in which you want to keep the skip for. We provide cheap skip hire in ashton-under-lyne just always make sure you know what size skip you need and for how long, this will help to avoid any additional charges. How can I book a skip for hire? You can book a skip with us by using our online booking form which can be found here, or you can give us a call on : 0161 793 0000 and if you can reach us by these methods you can also email us at : office01ecogroup@gmail.com. How much notice shall I provide? If you give us 24 hours notice we can arrange everything for the next day, however if you get on the phone to us early in the morning once we are open we can provide same day service for skip hire. We always guarantee a next day skip hire in the morning or the afternoon. If you are a very busy person and have a tight schedule, we will try our best to work around your tight schedule. What happens to the waste after the skip is taken away? All of our skips that we hire out, go back to our main hub where we recycle up to 90% of all the waste that was in the skip, doing this helps us send the most minimum to a landfill site.